My first scratch to relieve the itch to get started on this incredible kit. 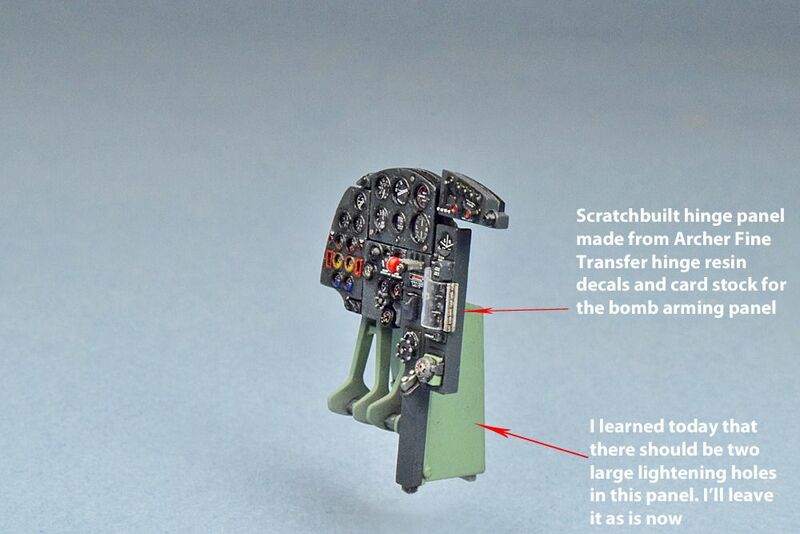 My favourite part of any aircraft build is the cockpit so I decided to start with the Instrument panel. The first thing I did was to add Archer Fine Transfer rivet decals to represent the fasteners that secured the instruments to the various panels. Amazingly enough they show nicely through the thin coat of paint, They add a nice extra touch of detail to the relatively featureless PE instrument panels. The next modification was to sand off all the raised instrument lens details on the kit clear parts. 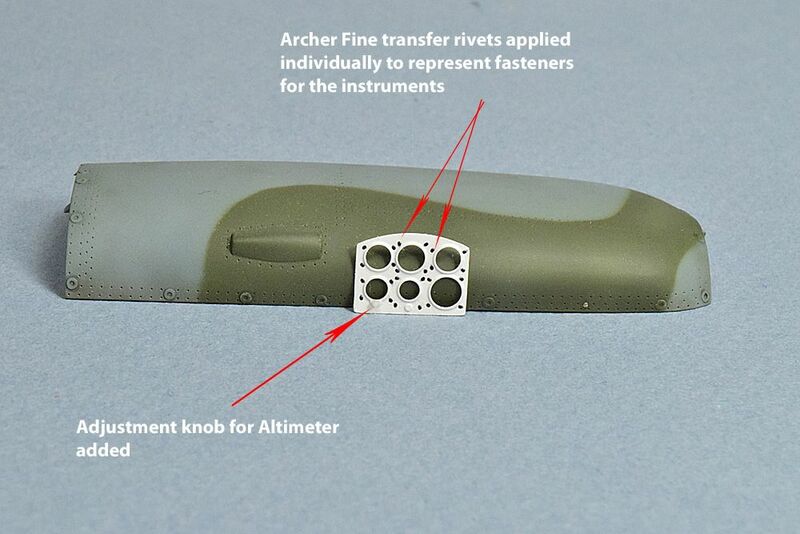 I wanted to replace the instrument glass with clear acetate that's supplied with Airscale's instrument decals. I still felt there was too much of a "coke bottle" effect when built OOB. Using the thin acetate really makes the instrument decals far more visible. Tamiya's instrument decals are very detailed but some have odd colour combinations so I replaced certain ones with Airscale instruments. The combination looks much better to me when compared with my reference material. The webbing between the bomb release, landing gear release and flap control levers was cleaned out with a razor saw and the levers themselves were thinned down substantially to give them a more scale appearance. Most of the data stencils came from Airscale's placard decals but most were cut in to tiny pieces and cobbled together to get the look I wanted. 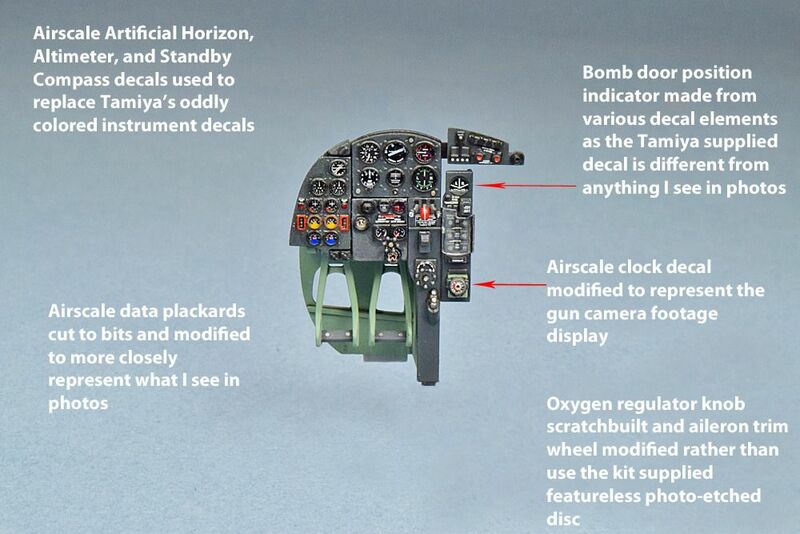 Other pieces came from bits of 1/48 scale F-4 Phantom data stencil decals from Superscale. I've been using these for years until dedicated placard decals have come out. Thanks Harv, it's been fun so far if not a little hard on the eyes. I love my magnifying lamp. Hey, welcome to the Mossie group build! Looking great so far"
nice to see another Mosie growing. Great detailing makes me envious. So, that's why you aren't able to pick up your phone . Great start, fantastic presentation and photography. Thanks Ron. Is there a formal Mossie group build? I couldn't help but use your build as inspiration. What a fantastic kit eh? Thanks very much Hubert. Appreciate your comment. Thanks Martin, yes, you're right. Once I'm in the zone it's hard to set anything down. Comes with the territory when you're ADD. That and adding all those tiny decal bits is very intense and time consuming. Still fun though. Woo Hoo! Christmas has come early on LSP! I cant think of a better present than another Wolf build. Looks amazing and looking forward to every update, Chuck. Thanks Chuck, you're too kind. Remember, I'm only an assembler. You are a true craftsman Wolf, now accept it and move on! Great stuff already. Are you going to leave two engines exposed or just go to town on one?